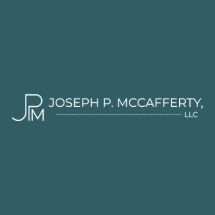 Joseph McCafferty is a full service law firm providing services in English and Spanish to clients throughout the United States. Joseph McCafferty maintain offices in Westlake, Ohio and Lorain, Ohio. Our law firm represents clients in Cuyahoga County (including Cleveland, Westlake Rocky River, Parma, North Olmsted, Lakewood, Parma, Strongsville, Seven Hills, University Heights, Cleveland Heights, Shaker Heights, Twinsburg, Aurora, Solon, Mayfield Heights, Richmond Heights, Euclid, Mentor, Painesville, Bedford Heights, Maple Heights, Solon, and Lorain County and neighboring communities such as Avon, Avon Lake, Elyria, Lorain, Sheffield, Sheffield Lake, Norwalk, Vermillion, North Ridgeville. We also serve the communities of Tiffin, Seneca County, Lake County, Lorain County, Erie County, Sandusky County, Summit County (including Akron, Ohio), Youngstown, Ohio, Columbus, Ohio (Franklin County), Cincinnati, Dayton and more.